Women's health is commonly confined to sexual and reproductive health. This ignores significant changes in leading causes of death and disability for women in nearly all countries, which is now non-communicable diseases. As a result, we need a redefined focus on women's health. 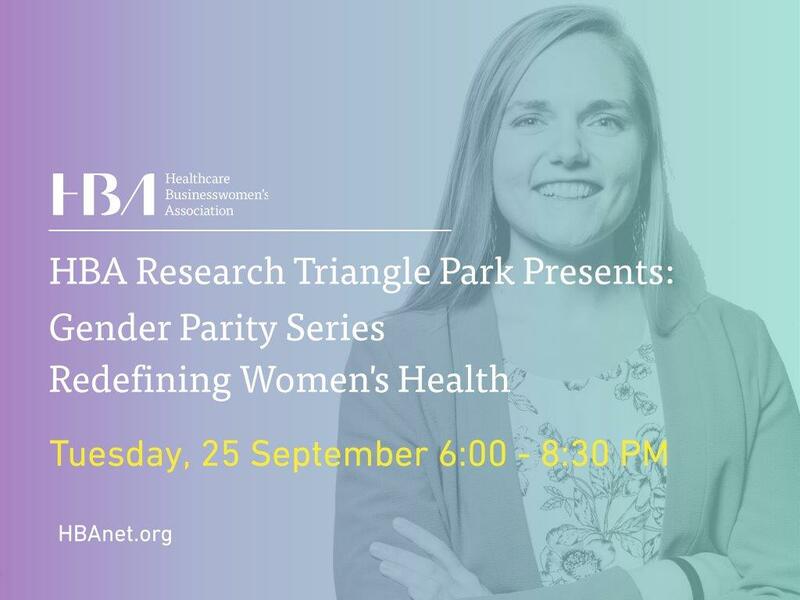 Join HBA RTP for a powerful evening of sharing knowledge with Professor Robyn Norton, President and co-founder, The George Institute of Global Health, and discussing what redefining women's health means to you. 7:00 - 8:00 PM Facilitated group discussion: what does redefining women’s health mean to you? Special instructions: Parking garage available for guests. After turning into the hospital, drive to the left, past the hospital entrance, and you will see the parking garage. For more detailed directions, please click here. and cash is NOT accepted as payment. Please show your emailed receipt as proof of registration. This event is refundable. All refund requests must be submitted in writing to [email protected] by 23 September 2018. No refunds are available after this date. 1. Ignite a curiosity in yourself and others to research how your company and community is addressing women's health. 2. Host discussions with insights from different perspectives on women's health at work and in your community. 3. Have an opinion on actions we can take together to redefine women's health in RTP.